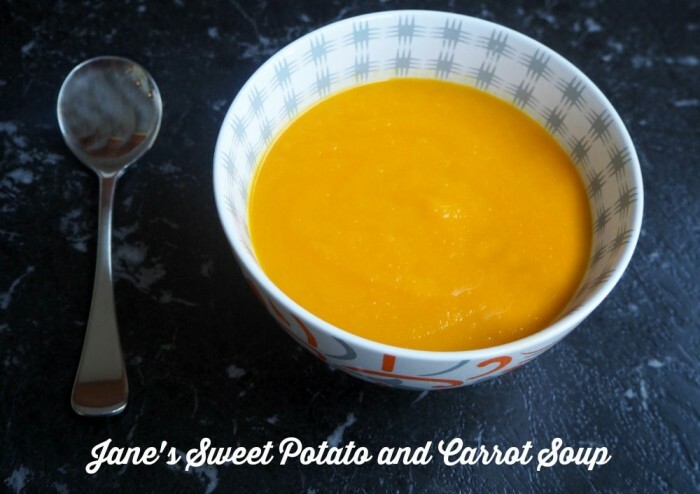 I still remember Jane bringing me a big pot of this soup, just after I got home from my surgery and incidentally, this is one of the first recipes I ever posted. These powerhouse vegetables cooked together make this soup totally tasty and extremely nutritious. It’s full of Vitamin A, easily digestible and oh, so healthy! I like my soup nice and thick, but if you like a runnier consistency or want to stretch the servings, use the maximum amount of water/vegetable stock! And best of all, now there’s a Thermomix version too! In a large soup pot, sauté onion in oil, until softened. Add sweet potato, carrots and ginger and stir for 2 minutes. Add stock and bring to the boil. Reduce heat and allow to soup to simmer for 45 minutes. Add salt and pepper. Remove from heat and allow soup to cool a little before processing in a blender or food processor until smooth. Add onion and ginger to TM bowl. Chop for 3 seconds on speed 5. Add sweet potato and carrot and chop for 10 seconds on speed 7. Add water and vegetable stock and cook for 20 minutes at 100 degrees on speed 1.